The Sactown Original Raider Booster Club was founded in 1992 as the Raiders Booster Club of Sacramento. Our club was officially recognized by the Oakland Raiders in September of the same year. 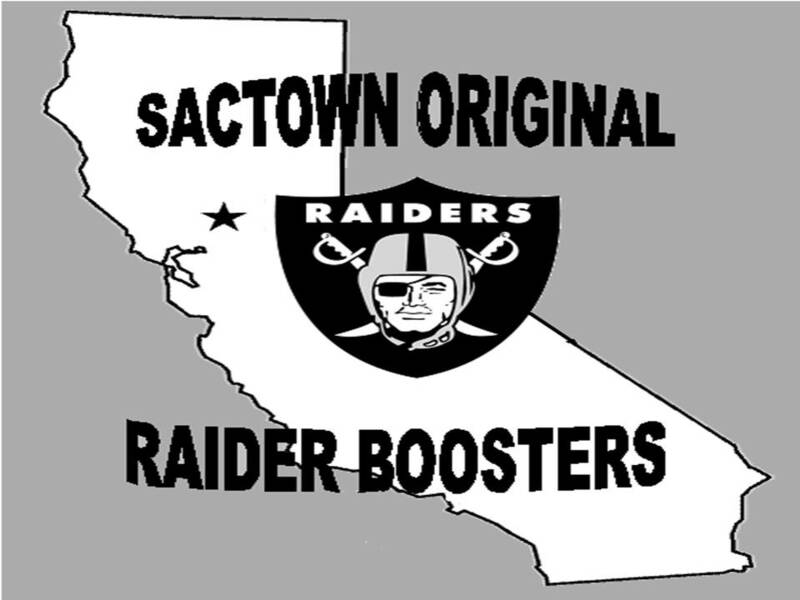 In 2007 the name of our club was changed to the Sactown Original Raider Boosters. Our club will be 25 years old this upcoming Raiders season! The purpose of the Sactown Original Raider Booster Club is to provide a local, non-profit, volunteer organization that is a safe haven for Raiders fans to promote and support the endeavors of the Oakland Raiders. We are home to some of the best Raiders fans in the world! For information about our membership and benefits of joining that include things like discounts at the Raider Image, check out the Membership Brochure and Application for the Sactown Original Raider Booster Club .